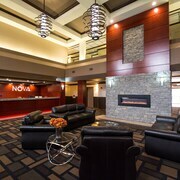 Situated in Rycroft, this hotel is 18.5 mi (29.8 km) from Chinook Valley Golf Course. Bathroom is small and out dated. Combine the bathroom area and sink into one larger bath. Too much wasted space. Nice clean and well decorated room. Only concern I had was the shower as the taps were in need of repair. I didn’t mention or complain to staff..I would still recommend as a great place to stay. Where to find Peace River hotels near an airport? 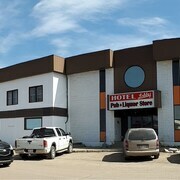 Where can I find hotels in Peace River that are near tourist attractions? Searching for accommodation options in Northern Alberta, specifically in or near Peace River? There are 7 Expedia-listed apartments and hotels within 0.1 kilometres (0.1 miles) of the town center. 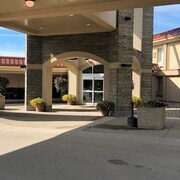 Peace River features a range of convenient places to stay, such as the Sawridge Inn Peace River and Third Mission Heritage Suites. 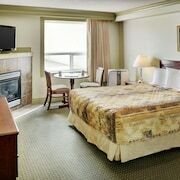 3 kilometres (2 miles) away from the center of Peace River, is the Super 8 Peace River AB. 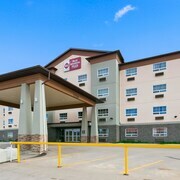 Alternatively, the Best Western Plus Peace River Hotel & Suites is positioned 2 kilometres (1 mile) away. 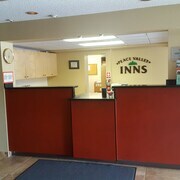 The Peace Valley Inns and also the Chateau Nova Peace River are some other accommodation options in Peace River. Grande Prairie Airport is a logical airport for flying into Peace River. It is 150 kilometres (93 miles) away. 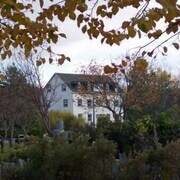 If you would like to stay nearby, try the Paradise Inn & Conference Centre or Stanford Inn & Suites. 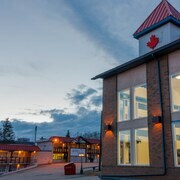 What are the most popular Peace River hotels? 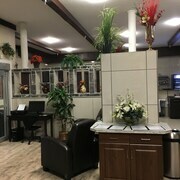 Are there hotels in other cities near Peace River? What other types of accommodations are available in Peace River? Explore Peace River with Expedia.ca’s Travel Guides to find the best flights, cars, holiday packages and more!